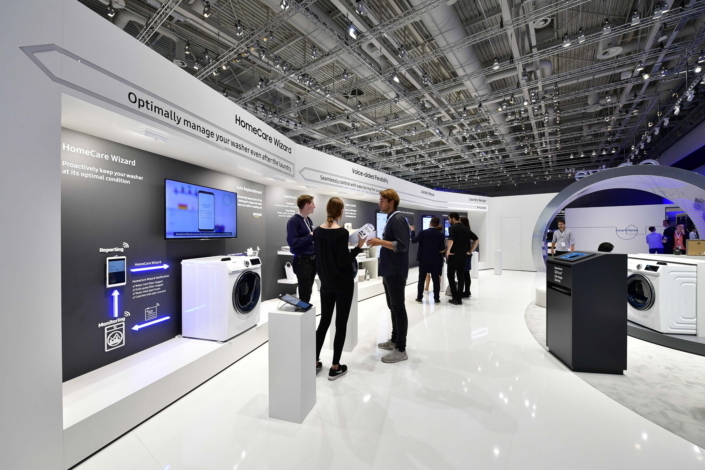 Introduced at IFA 2017, Samsung Electronics’ QuickDrive™ technology was created to provide consumers with the time-saving laundry solution they’ve always wanted but never had, without compromising washing performance*, energy efficiency, fabric care and durability. The result is a laundry solution that finishes cycles in half the time of conventional washers, while providing a thorough yet gentle clean. Because Samsung firmly believes in glocalization, in which products are optimized for consumers in different countries, the company strives to craft innovations that cater to the unique lifestyles of consumers in markets around the world. 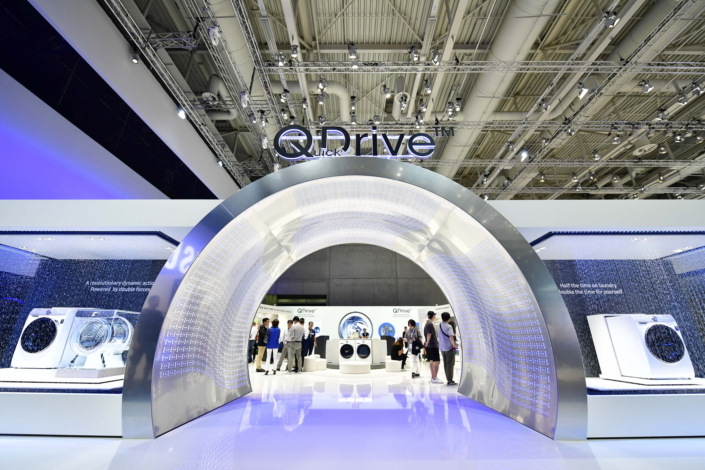 QuickDrive™ is a result of these efforts, and the latest product of a line of Samsung laundry technologies that have been met with acclaim in areas such as Europe, the birthplace of the drum washing machine. Each of those previous innovations, which include AddWash™ and EcoBubble™, has enhanced consumers’ lifestyles by resolving key pain points. 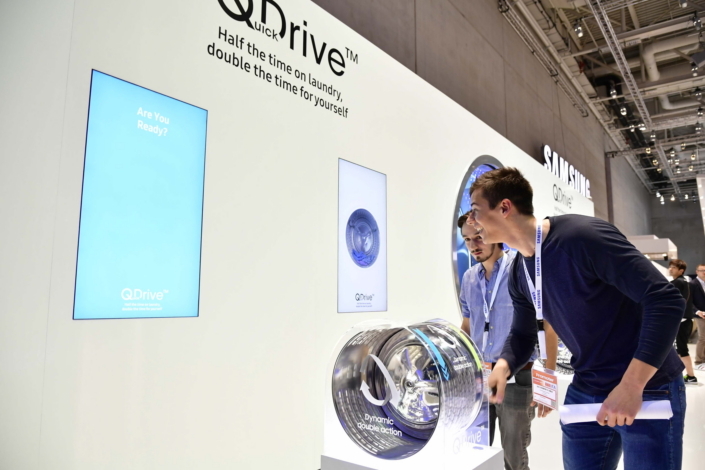 When the time came to design the technology that would ultimately become QuickDrive™, Samsung surveyed consumers in markets across the globe on the factors that matter most to them when buying a washer. The results indicated that washing performance was a leading determinant, and a washer’s ability to reduce the amount of time required to finish a load of laundry was key when assessing this. QuickDrive™ was designed to provide entirely new levels of washing performance. The technology boasts several convenient Samsung innovations that not only drastically speed up laundry cycles, but also make the process much simpler and more energy efficient. In addition to a convenient form, QuickDrive™ boasts an array of smart features designed to enhance modern consumers’ IoT-connected lives by taking considerable hassle out of managing laundry. These functions, which are provided by an AI-powered laundry assistant called Q-rator, include Laundry Recipe, which recommends optimal wash cycles based on factors like fabric type, color and degree of dirtiness; Laundry Planner, which allows you to schedule when you’d like your wash to finish; and HomeCare Wizard, which proactively alerts you of potential issues with your washer and provides you quick and simple maintenance tips to keep your washer at optimal condition. Samsung’s WW8800M washing machine with QuickDrive™ technology will debut first in Europe before expanding to markets across the globe. To learn more about the innovative washer, check out the video below. *Based on tests comparing the WW8800M with Samsung’s WW8500K model. Saves 50 percent of time during Cotton (a half load at 40℃ ) and eCotton cycles, with washing performance within ±2 percent. Reduces energy consumption by 20 percent during Cotton (half load at 40℃) and Super Speed cycles (5kg load at 40℃), based on Intertek data.